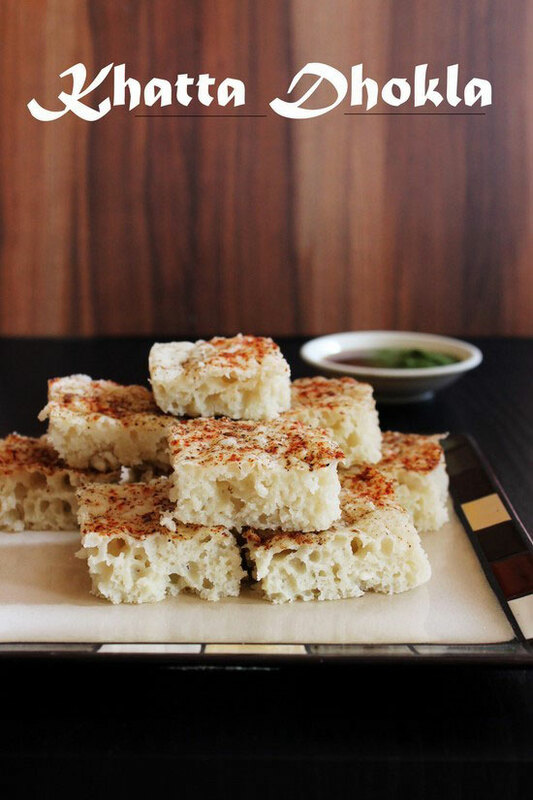 Khatta dhokla recipe – First a batter is made from soaked rice and split urad dal. Then it is fermented and steamed at the time of serving. 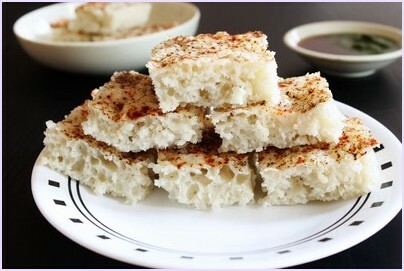 This is also known as idada or idra in many part of Gujarat. 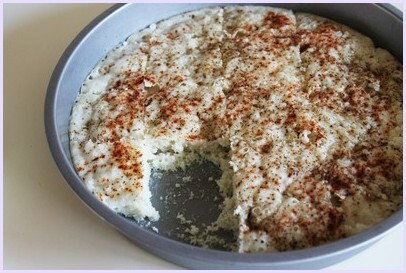 We call this safed dhokla aka white dhokla. Because on occasion we make yellow colored dhokla where chana dal is used. So the color name used to differentiate both. The term khatta means sour and this khatta flavor is coming from fermented batter. This is my all time favorite snack. My mom makes this very regularly, at least once a week. I really enjoyed eating before coming to USA. Many times she makes it as a light dinner or meal. My mom also keeps ready made dhokla flour in the pantry. So whenever she is in rush, it will come handy. Traditionally there is no tempering made. Here I have kept the recipe authentic without adding my own touch. 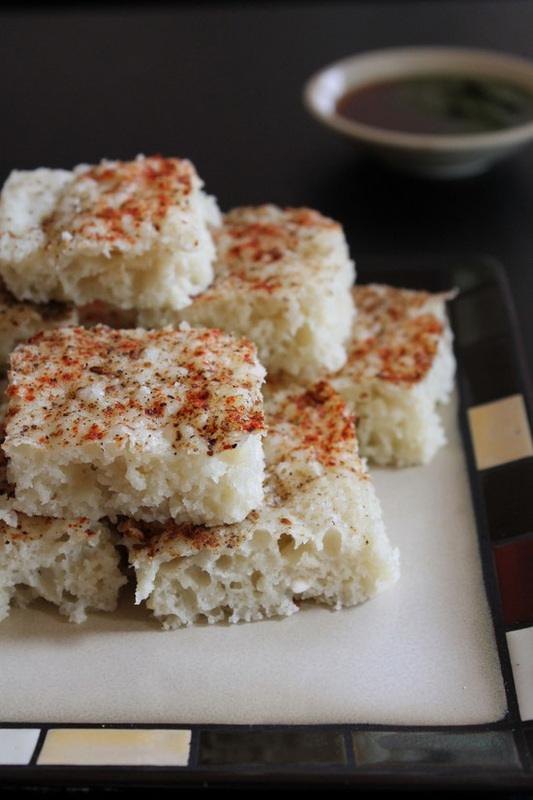 But if you want you can make tadka similar to this rava dhokla or oats dhokla. 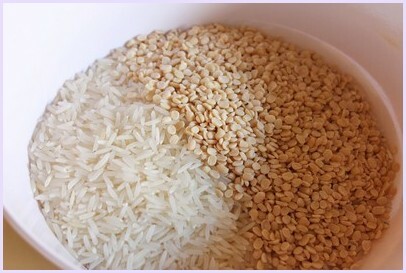 1) Wash rice and urad dal. 2) Soak them together about 5-6 hours. 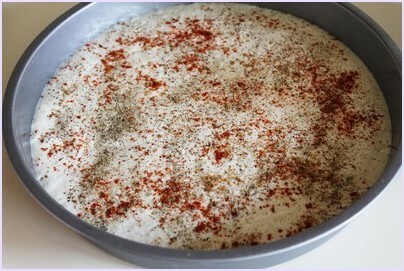 3) after soaking time drain the water, add it to grinder along with yogurt, ginger and green chili. 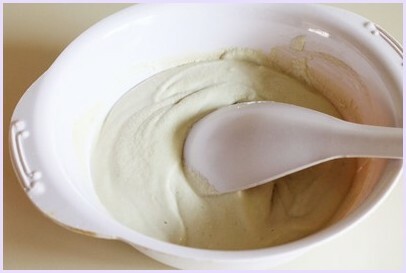 Grind it into a smooth batter by adding few tablespoons of water. Batter should be thick like idli batter. 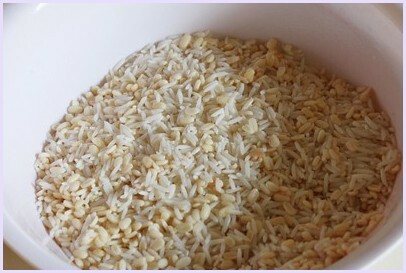 4) Remove it to a bowl, cover it. 6) Let it ferment for 8 hours or overnight in warm place. 7) When you are ready to make dhokla, bring the water to a boil in steamer. Also grease the pan well with oil. 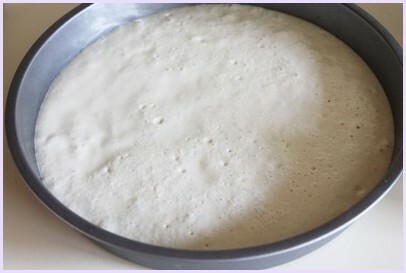 I have used 9 inch cake pan with 1 1/2 inch high side. 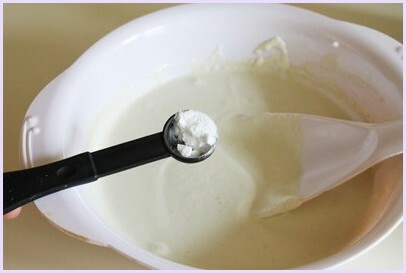 8) Once steamer is ready, add oil and salt into fermented batter, mix. 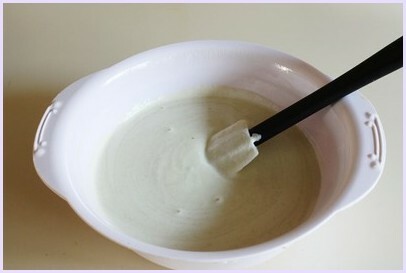 9) Add soda, mix well. 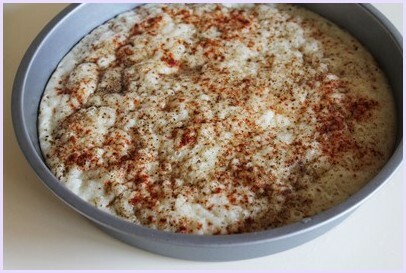 10) Immediately pour into prepared pan. 11) Sprinkle some red chili powder, black pepper and cumin powder. 12) Steam it for 10 minutes. Check by inserting a knife or toothpick in it, if it comes out clean and then it is ready. 13) Let it cool for a minute or two. Then cut into square or diamond shape. 14) Remove it to plate and serve. Serving suggestion: Enjoy the dhokla as a snack or breakfast with cup of tea or green coriander chutney. It can served on side along with you meal as a farsaan. Wash rice and urad dal under running cold water till water runs clear. Soak them together in enough water for about 5-6 hours. 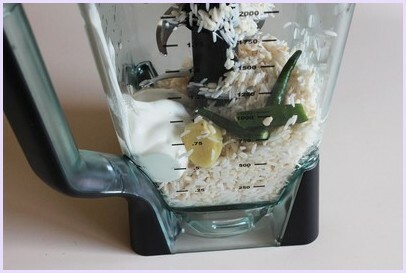 Drain water well, add it to grinder along with yogurt, ginger and green chili. Grind it into a smooth paste. If needed add few tablespoons of water. Remove it to a bowl, add salt, mix and cover it. 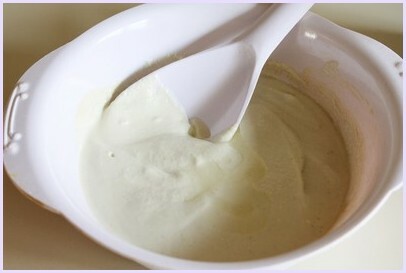 Batter should be thick like idli batter. Let it ferment for 8 hours or overnight in warm place. When you are ready to make dhokla, bring the water to a boil in steamer. Also grease the pan well with oil. I have used 9 inch cake pan with 1 1/2 inch high side. Once steamer is ready, add oil into fermented batter, mix. Add soda, mix well. Immediately pour into prepared pan. Sprinkle some red chili powder, black pepper and cumin powder. Steam it for 10 minutes. Check by inserting a knife or toothpick in it, if it comes out clean and then it is ready. Let it cool for a minute or two. Then cut into square or diamond shape. Remove it to plate and serve. How much salt? About 1 or 3/4 teaspoon? around 1/2 to 3/4 teaspoon. Glad to hear that chakli came out good. yes i like your Dhokla that is easy to prepare and in simple way you have given information which makes more easy to prepare it . Thank you. Glad to know that recipe is helpful to you. Thank you Kanan for this detailled recipe ! I live in Switzerland and was in Puna two weeks ago. India for the first time !! 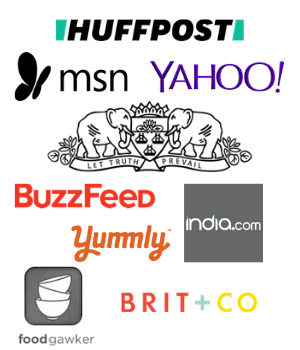 I love the indian food and have bought spices and…Khata Dhokla ready made in powder (EMAR). I will try your recipe ! Best regards, Caroline. Thank you Rosset. Hope you enjoy this recipe.